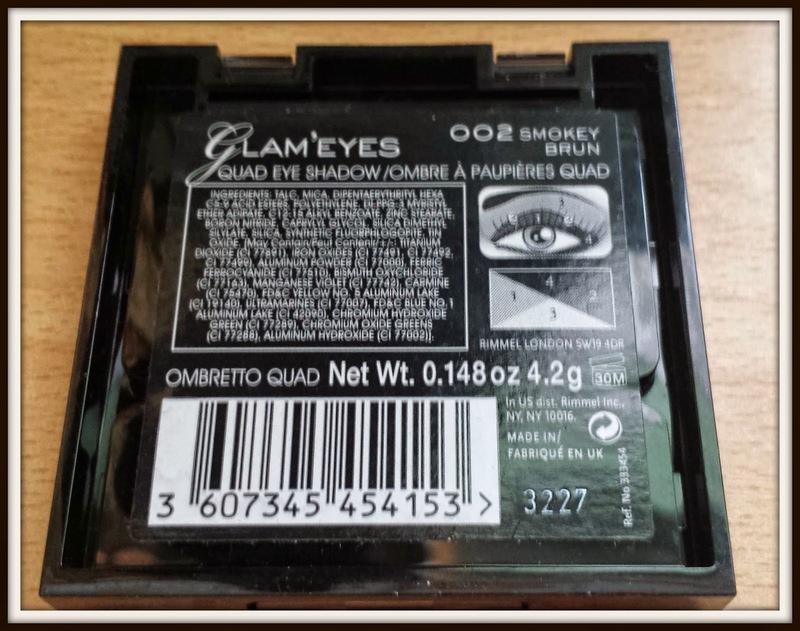 Designed to fit into the London scene, Rimmel’s Smokey Brun’ Glam’ Eyes Quad palette is a inexpensive way to create a low key smokey eye. The product comes in simple black packaging with very little fuss or pretty packaging. The palette is light weight, easy to fit into your makeup bag and even comes with a handy eyebrow brush. 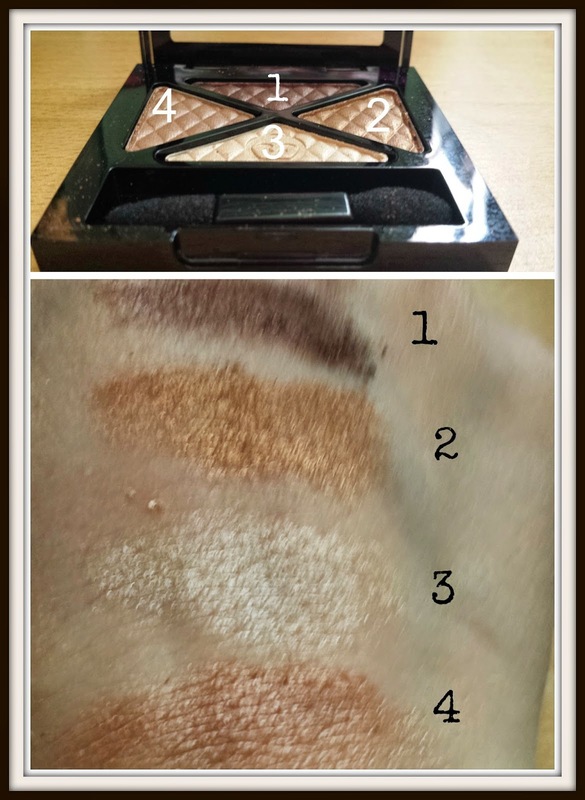 The shades range from cream to muted and dark browns and have a fair amount of pigmentation.I did feel the eyeshadows are not as highly pigmented once applied as they are swatched. 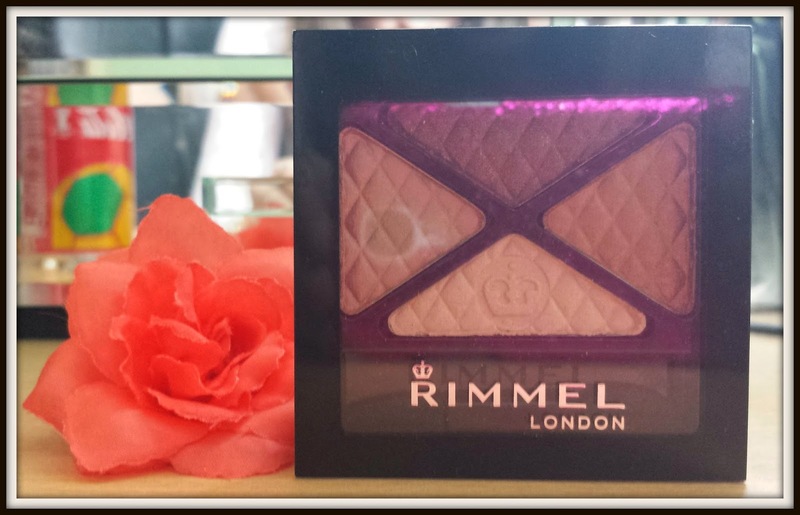 Rimmel claims all 9 of their Glam’ Eyes palettes offer a soft silky formula with smooth saturated colour for long crease resistant wear. 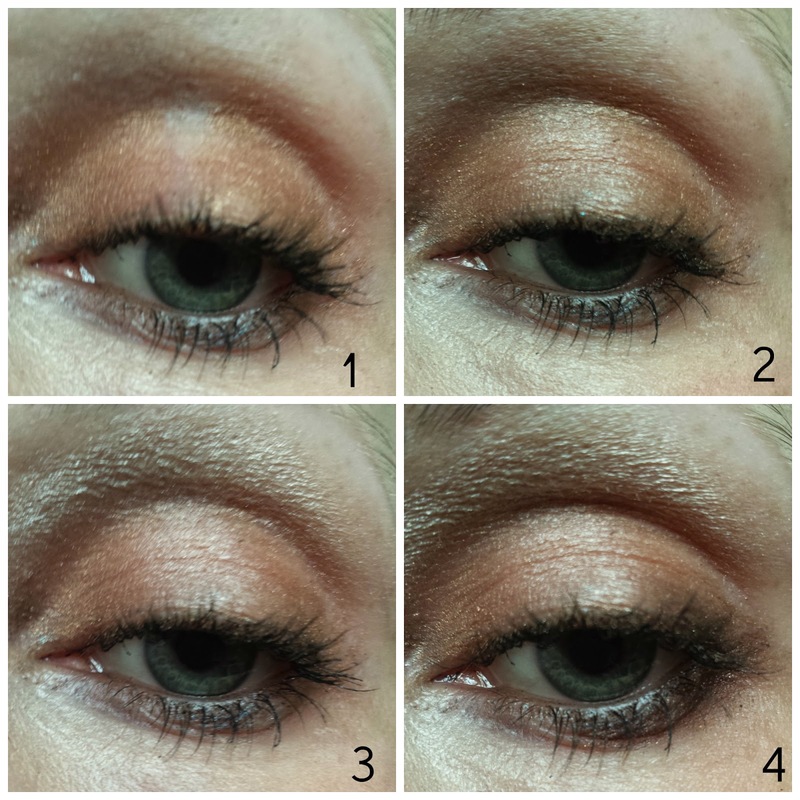 The eyeshadow applied really easily and if you don’t have much inspiration for how to apply the handy guide on the back demonstrates how to create a smokey eye in 4 easy stpes. The colours don’t crease and are really resistant, with the shadow still staying firm by the evening. A great budget palette which is perfect for a simple office look at a low price. Wow Beauty goody bag contents revealed! "Win a goody bag filled with Halo wipes"
"George Creme Blush in Hyacinth review"